A Music Survey -- with Prizes! Help us serve you better by filling out a short music survey, and you'll be eligible to win tickets from local venues. Blues or bluegrass? Jazz or folk? Streaming, vinyl, CDs ... or cassettes? What are your favorite kinds of music, and how do you listen to them? Rather write than type? Paper copies are coming to a library near you. Everyone who completes the survey will be eligible to enter a raffle. Just fill in your name and phone number at the end of the survey to enter. The results will be tallied anonymously, and your information will not be shared. A pair of tickets to see French electronic artist FKJ (a.k.a. French Kiwi Juice) on 12/15 at the Fox Theater. See below to check out the mesmerizing track "Vibin' Out with (((O)))" from his eponymous LP. 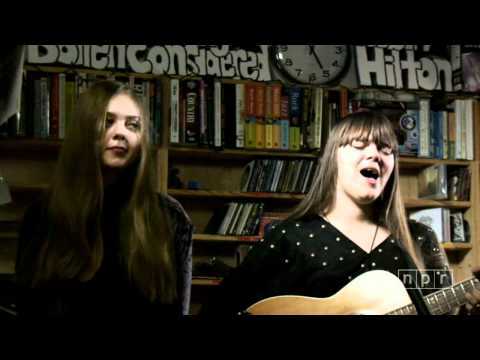 A pair of tickets to see Swedish folk duo First Aid Kit on 1/24 at the Fox Theater. Watch their NPR Music Tiny Desk Concert below. The survey closes on Wednesday, December 6 December 20 (survey extended! ).